Actor, singer, and dancer Ben Vereen has been performing on stage, in movies, and on television for over 45 years. He is best known for his Tony Award-winning turn as the “Leading Player” in the original production of Pippin and for his role as “’Chicken’ George Moore” in Roots. 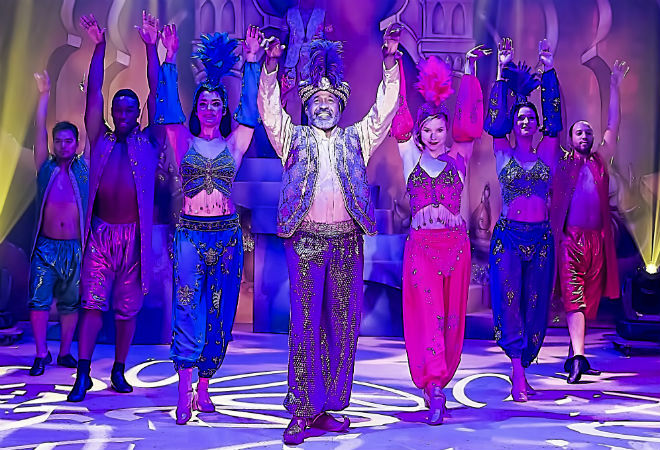 It seems like he’s done it all, but with his latest role as the Genie in Aladdin and His Winter Wish at the Pasadena Playhouse he can finally add panto to his repertoire.